Home Health Care Why are drug addiction rehabilitation centers so important? Today, many people are battling substance abuse, but they do not know that help is readily available to every person who wants to get rid of this evil abuse. People who have their loved ones fighting against addiction better know that it is a very serious issue. Drug addicts usually do not want to struggle with addiction, but they realize that their substance abuse is getting out of control at some stage of life. That is the moment when they realize the importance of drug addiction rehabilitation centers in their life. Drug abuse is increasing with every new day and is becoming the cause of death for younger individuals. This article will highlight the importance of drug rehabilitation centers in today’s world. Drug addiction rehabilitation centers offer professional services such as inpatient treatment program that can help the addict to start his recovery. Since they will be playing the role of a client, so they will have to stay away from any temptation that can again trap him in the dark world of drugs. Without the help of professionals, it is almost impossible for the substance user to begin the process of recovery. Rehabilitation centers always treat the addict as a ‘whole’ person and highlight every area of his life. Every person who is suffering from drug addicts is facing problems in every aspect of life whether it is the professional or the personal life. The experts in the drug addiction center will work with the addict to build a treatment plan to resolve all the issues of life that are causing mental health problems and affecting life adversely. Without these centers, it is not possible to get rid of problems related to every domain of life. People often start taking drugs when they encounter some unresolvable issues in life. They find it hard to let go of all the sad events and move forward. You might observe the tremendous increase in the drug addiction rehabilitation centers. It actually gives the addicts a reason to move forward and live the life fully. You will need a daily struggle to resist the drug abuse even if your body is rid of all the toxins. A sincere effort put by the experts of rehabilitation centers make it simpler for you. Due to their effort, you will find lots of things in your life that you can cherish. People with addiction issues usually need a 24-hour care service. A caretaker can never do it for the client all the time. However, therehabilitation center is staffed with many professionals who focus on the client needs and take care of them all the time. There is always someone around the client even if he wakes up in the middle of the night. Many health recovery programs hire such professionals who are always available for the client and take them out of the alcohol or drug related challenges in the life. Previous articleHow to find the best personal trainer in toronto? 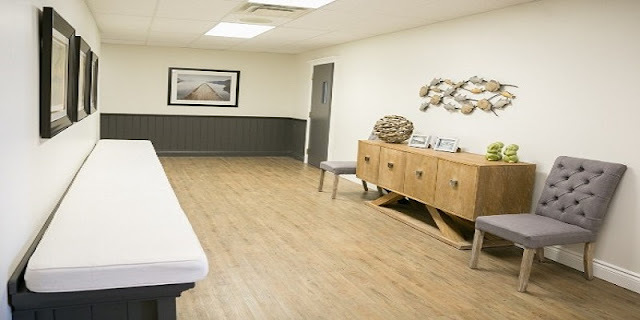 Next articleHow does Detox Center Toronto work for their patients?